BULLION - Bullion counter may trade with sideways path as investors will eye the outcome of nonfarm payroll data due later today. Gold was little changed on Friday, having slid to its lowest level in 10-weeks in the previous session as the dollar strengthened ahead of the U.S. nonfarm payrolls data due later in the day. The dollar rose to a three-week high versus the yen on Friday, lifted by expectations that a protracted trade dispute between the United States and China would be resolved soon. The number of Americans filing applications for unemployment benefits fell to a nearly half-century low last week, pointing to sustained labor market strength despite slowing economic growth. Pro-Brexit lawmakers in Britain upper house of parliament tried on Thursday to thwart the approval of a new law that would force Prime Minister Theresa May to seek a delay to prevent a disorderly EU exit on April 12 without a deal. ENERGY- Crude oil may trade on negative note as oil prices fell on Friday, with Brent slipping away from the $70 mark after briefly rising above that level in the previous session, as traders fretted about progress in U.S.-China talks to end a trade war. U.S. President Donald Trump said on Thursday a trade deal with China was getting very close and could be reached in about four weeks, but he said sticking points included tariffs and intellectual property theft. Brent has gained nearly 30 percent this year, while WTI has risen nearly 40 percent, underpinned by U.S. sanctions on Iranian and Venezuelan crude, OPEC production cuts and rising global demand. U.S. natural gas futures fell to a six-week low on Thursday on a bigger-than-expected storage build and forecasts that warmer-than-usual weather over the next two weeks will keep heating demand low. BASE METAL - Base metals prices may trade in green as London industrial metals rose on Friday, supported by news that the United States and China are edging closer to a trade deal after months of dispute. U.S. President Donald Trump said on Thursday a trade deal with China could be reached in about four weeks, but he issued a warning to Beijing that, absent a pact, it would be difficult to allow trade to continue. The Shanghai Futures Exchange is closed on Friday for the Tomb Sweeping Day holiday and will reopen on Monday. In Indonesia, a mudslide at Freeport-McMoran Grasberg mine, the world second-largest copper mine, injured two workers while two others were missing on Wednesday. Concerns over copper supply disruption increased as a Peruvian judge on Wednesday ordered jail time for lawyers representing indigenous villagers who have blockaded shipments from Las Bambas copper mine operated by Chinese miner MMG Ltd .
BULLION - Bullion counter may trade with sideways to negative bias as gold prices snapped three consecutive sessions of gains on Wednesday as the dollar firmed, while investors awaited the results of the U.S. Federal Reserve's policy meeting later in the day. Major currencies stuck to tight ranges in early Asian trading on Wednesday as investors awaited the outcome of the Federal Reserve's March policy meeting later in the day. Traders currently expect there will be no U.S. rate hikes this year, and is even building in bets for a rate cut in 2020. Federal Reserve Chairman Jerome Powell will speak at a news conference on Wednesday. Prime Minister Theresa May will ask the European Union to delay Brexit by at least three months after her plan to hold a third vote on her fraught divorce deal was thrown into disarray by a surprise intervention from the speaker of parliament. The United States imposed sanctions on Tuesday against Venezuela's state-run gold mining company Minerven and its president, Adrian Perdomo, accusing them of illicit operations and propping up the government of President Nicolas Maduro. ENERGY- Crude oil (Apr) may trade on sideways path as it may trade in range of 4070-4120 in MCX. Oil prices dipped on Wednesday, retreating from a four-month high as economic growth concerns dampened the outlook for fuel consumption. The dips come after crude prices rose by more than a quarter this year, pushed up by a pledge led by the Organization of the Petroleum Exporting Countries (OPEC) to withhold around 1.2 million barrels per day (bpd) of supply as well as by U.S. sanctions against oil exporters Iran and Venezuela. Between those price levels, Ruecker said "the U.S. shale boom almost fully meets global oil demand growth mirrored by the strongly expanding crude oil exports," which hit a record 3.6 million bpd in February. U.S. natural gas futures edged up to a two-week high on Tuesday on forecasts for cooler weather and higher heating demand next week than previously expected. BASE METAL - Base metals prices may trade with weak bias as most industrial metals on the London Metal Exchange fell on Wednesday, shrugging off some gains in the previous sessions as investors turned cautious ahead of the result of the U.S. Federal Reserve rate meeting later in the day. LME zinc stocks have fallen by 1.18 million tonnes from their 2012 peak. The exchange's stock reports have thrown up many surprises over the intervening years, with the downtrend sporadically interrupted by mass movements of off-market metal onto LME warrant, particularly in New Orleans. But the New Orleans zinc round-about appears to have ground to a halt. The last significant inflow at the port was in October and there have been no arrivals at all this year. The only zinc to enter the LME warehouse system in 2019 has been a highly modest 2,150 tonnes at the Spanish port of Bilbao and a single-lot delivery of 25 tonnes at the Belgian port of Antwerp. 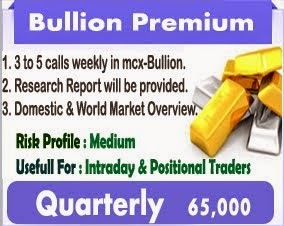 BULLION - MCX Gold and Silver may note mixed trade in line with international market but overall bias remains weak. COMEX gold trades in a narrow range near $1330/oz level after minor gains in previous session. Gold is range bound as support from choppy US dollar is countered by gains in equity market. Gold is range bound also as market players await more clarity on US China and Brexit. As per reports, US President Donald Trump postponed the date for boosting tariffs on Chinese imports citing substantial progress in talks. President Trump further indicated that he and Chinese President could meet in Florida to conclude an agreement but gave no details on timing of meeting or how long the tariff extension will last. On Brexit front, Theresa May once again postponed a final vote on her Brexit divorce agreement to March 12 as she tried to renegotiate a deal with European Union. The US China trade progress has helped Asian equity markets edge higher but has reduced safe haven demand for US dollar. Range bound movement also pushed investors on sidelines as is evident from unchanged ETF holdings. Gold has corrected sharply after testing April 2018 highs but may consolidate in a range near $1330/oz awaiting more clarity on US China and Brexit. The bias may however be on the downside owing to improved risks sentiment and Fedâ��s less dovish tilt. ENERGY- Crude Oil- MCX Crude may witness mixed trade in line with international market but general bias remains on the upside. NYMEX crude trades mixed and in a narrow range near $57 per barrel after testing November 2018 high Friday. Crude has turned rangebound as market players assess US-China trade talks. As per reports, US President Donald Trump postponed the date for boosting tariffs on Chinese imports citing substantial progress in talks. President Trump further indicated that he and Chinese President could meet in Florida to conclude an agreement but gave no details on timing of meeting or how long the tariff extension will last. The US-China trade talks have helped Asian equities trade higher while US dollar index struggles near 96.5 levels. Amid other factors, crude remains supported by decline in US crude oil rig count and OPECâ��s adherence to production cuts. The number of rigs drilling for crude oil fell by 4 to 853 rigs. However, weighing on price are demand concerns amid mixed economic data from major economies and record high US crude oil production. Also weighing on price are reports that Saudi Aramco has made the necessary repairs at Safaniyah offshore oilfield, allowing it to resume production. Crude has been on a rise for last few weeks but lack of any fresh positive triggers has caused some choppiness. 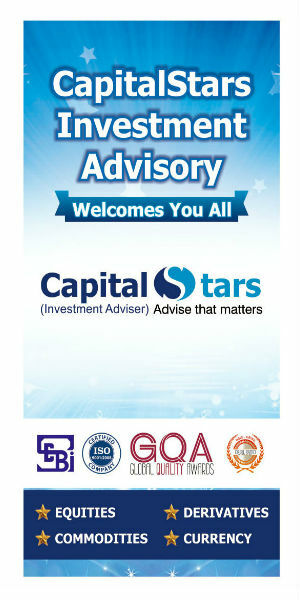 Hence we suggest one must wait for lower levels to create fresh long positions. Natural Gas- MCX Natural gas may note some gains tracking cues from international exchange. NYMEX natural gas trades higher by more than 1.5% near $2.75/mmBtu. Supporting gas price is forecast of cold weather in parts of US which will keep heating demand high. Also supporting price is bigger than average decline in gas stocks last week. Gas has also benefited from reports that Kinder Morganâ��s Natural Gas Pipeline experienced a suspected leak on its Amarillo Mainline in Texas causing it to announce a force majeure. However, weighing on price is higher US natural gas production and expectations of waning demand with end of winter season. The number of rigs drilling for natural gas was steady at 194 rigs last week. Natural gas trades higher today supported by supply outage in Texas and forecast of cold weather. This along with short covering ahead of contract expiration could lend some support to price however this may not continue for long. 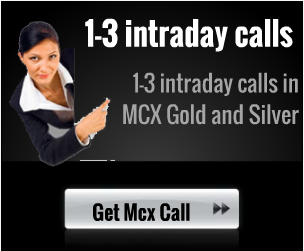 BASE METAL - Base metals on LME trade mix today after most metals ended on a higher note last week. LME Nickel and Copper were the best performers with 4.8% and 4.7 gains respectively. In other metals, Aluminium and Zinc closed 2.9% and 2.7% higher while Lead prices closed 0.1% lower.